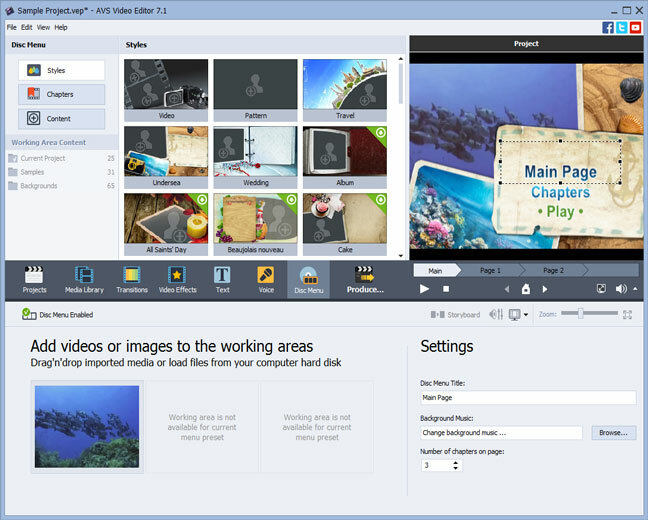 AVS Video Editor is one of the best video editing software with several abilities and options, which enables users – especially those with no previous video editing experience – to create and edit home-made movies, camera recordings, or YouTube Videos using various great transitions, audio/video effects, and text captions. The publisher of this software is Online Media Technologies Ltd., which offers this software along with several other great video and audio conversion and editing tools in the AVS4YOU application package. Video formats support – AVS Video Editor is a powerful software with many great aspects. One of them is supporting all popular video file formats including MP4, AVI, MOV, MPEG, 3GP, WMV,MKV, VOB, Adobe Flash, H.264, DivX, Xvid, and so on. Powerful video editing – the software provide all standard editing features like cut, trim, merge, split, mix, and rotate. Users could also choose from among 300 different transitions and effects for their projects. Some advanced options are also available such as text subtitles and comments, adding audio and menus, and camera recordings stabilizing. Video capturing – no matter where your footage sources are currently – VHS, web, DV, etc. – you could easily grab those and burn them on DVD or save on external or internal hard drives. The AVS video software also offers camcorder or screen capture features which are most suitable to build video reviews, tutorials, and alike. Blu-ray compatibility – don’t worry about Blu-ray discs editing since this software provides editing features for these video files. Images, videos and audio could be added. Effects could be applied. Plus, the output file could be in any main video format. 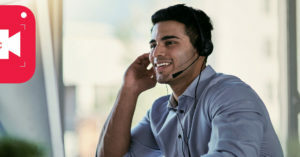 Multi-language support – the program interface includes many languages such as English, Spanish, German, French, Italian, Danish, Dutch, Japanese, and Russian. Video sharing – enables users to upload videos created by the application to YouTube, Metacafe, Dailymotion, Flickr, Facebook, and so on. This could be done through the software interface directly. In addition, this video application could be used to edit HD video files fast and easily. That’s because it uses advanced video caching. It could also save files in HD video formats as well. Before downloading and installing the software it’s better to know that your system has the required software and hardware to support the program. Unfortunately, AVS video editor hasn’t yet released a version for Linux or Mac OS. However, it supports most Microsoft Windows versions including Win 2003, XP, Vista, 7, 8, and 8.1. Also, Microsoft DirectX 9.0c (or a higher version) and Windows Media Player 11 need to be installed on the system as well. In terms of hardware, a Core 2 Duo CPU (Intel/AMD), 2GB of RAM, and a 32-bit Video display are sufficient to run the application. Please note that in order to remove the watermark from the output videos, the video editing software needs to be activated through purchasing. 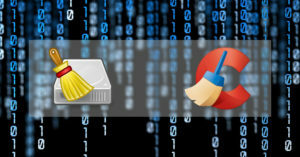 Follow the steps to install the application and run it on your computer. Information about the price plans together with other great tools available with the software could be found on AVS4YOU official website.